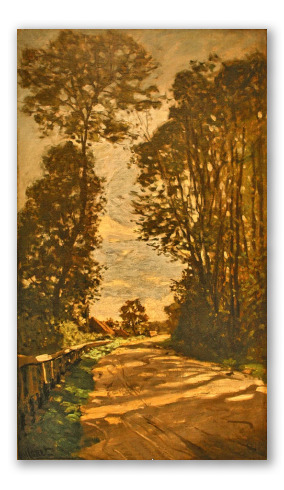 "Road to Saint Simeon" by Monet, Tan Colored Painting. Painted in 1864 by Claude Monet, oil on canvas, currently on exhibit at the National Western Art Museum in Tokyo, Japan. 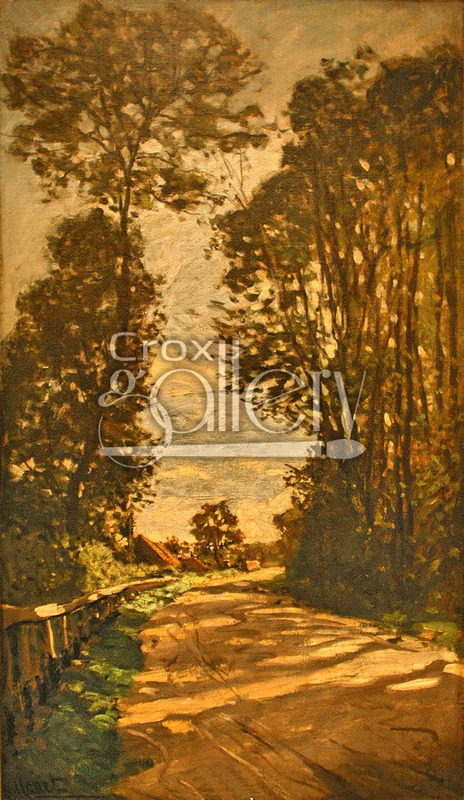 One can see a landscape painted with tan, earthy tones, which are typical of French autumns.